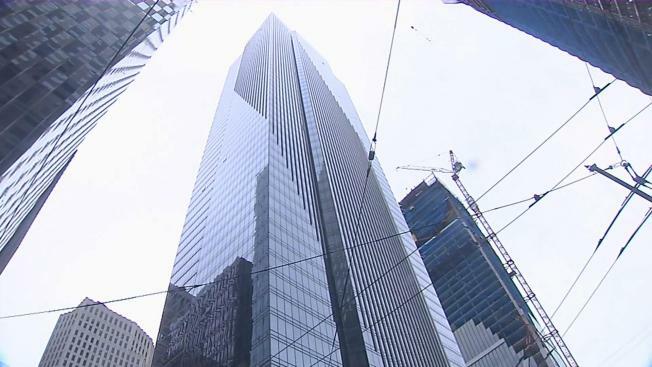 San Francisco Supervisor Aaron Peskin said Tuesday he will summon top city officials to account at a hearing next week on the Millennium Tower’s sinking troubles. 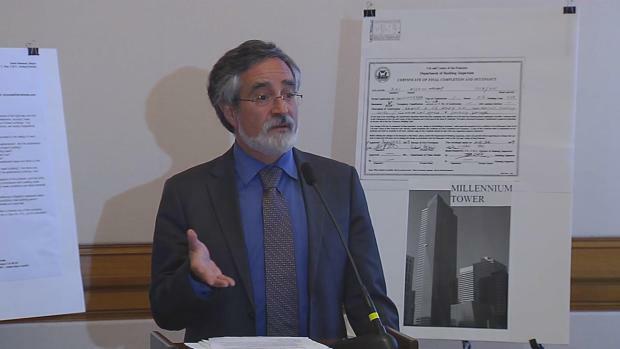 Peskin said at a City Hall news conference that he wants to know why the city’s Department of Building Inspection failed to alert the public after being told by the developer in early February 2009 that the building had sunk more than expected. He said several officials will be called before his government audit committee on Sept. 22 about what the city knew and when. “I am here today because this is of profound concern to the city of San Francisco,” he said, adding that he has been reviewing 1,600 pages of documents the city disclosed in response to NBC Bay Area’s recent Public Records Act request. San Francisco Supervisor Aaron Peskin. Peskin stressed one particularly glaring gap is what Millennium officials said when confronted by city inspectors about the greater than expected rate of sinking in February 2009. “There is no answer in the record as to the responses here,” Peskin said. Just months later, the city issued paperwork to authorize occupancy without alerting owners. “I believe the city and county of San Francisco had a duty to the public, including potential future buyers, to disclose what we know. The public should be aware of that,” Peskin said. Peskin said that he now fears “some level of political interference” was involved, but did not detail what such interference might have entailed. “We here at the Board of Supervisors have the duty and the obligation to get to the bottom of this,” he said. Also on Tuesday, the Transbay Joint Powers Authority – which previously could not explain why its chief engineer marked an early 2010 account of the sinking levels confidential – issued a statement about the confidentiality issue. On Monday, the city attorney blamed the agency for marking two sets of data confidential by mistake. Besides, the agency said, nothing prevented Millennium from disclosing any of the nearly 30 monitoring reports that the agency prepared. However, it was not until July 2016 that the agency alerted Millennium it was not going to honor the confidentiality agreement.